As most of us are aware, Blue Microphones are one of the stand out companies when it comes to selecting a microphone for either streaming, YouTube or recording vocals. The usual hot picks are either the Blue Yeti or Blue Snowball. The Yeti is the more pricey of the two and boasts the better specifications and sound whereas the Snowball is cheaper and favoured by those who are looking for an affordable solution that is still highly impressive. But, what about if you want to step up your audio game and can’t quite stretch to the Yeti? Well, Blue might just have what you’re looking for with their new Yeti Nano, and today we’ll be putting it through its paces. 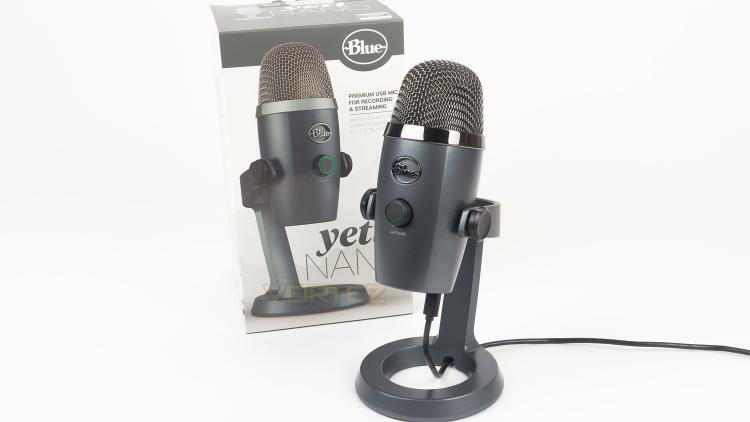 The Blue Yeti Nano is Blue Microphone’s latest creation, and it looks to bridge the gap between the Yeti and Snowball. The Yeti costs £115 ($129 US / $187 AUS), and the Snowball is priced at £60 ($65 US / $99 AUS), so the Nano fits right in the middle - in terms of price at least. But, what about specifications? Again it sits right in the centre offering some features the Snowball doesn’t and omits some from the Yeti. Where the Nano does see the biggest improvement over both the Yeti and Snowball is with the recording sample rates, as is, both the Snowball and Yeti offer 16bit / 48kHz. The Yeti Nano though beats them both with a 24bit / 48kHz sample recording rate which matches that of the Yeti Pro.